WASHINGTON -- The U.S. is urging Southeast Asian countries to work together to save the lives of Rohingya and Bangladeshi migrants who are stranded at sea. State Department spokesman Jeff Rathke said Thursday that many lives are in danger, and that U.S. ambassadors are raising the issue with governments in Malaysia, Indonesia and Thailand. He said Myanmar also needs to fulfill its commitments to improve the humanitarian situation in Rakhine State, where tens of thousands of minority Rohingya Muslims have fled sectarian violence. No country appears willing to take them. 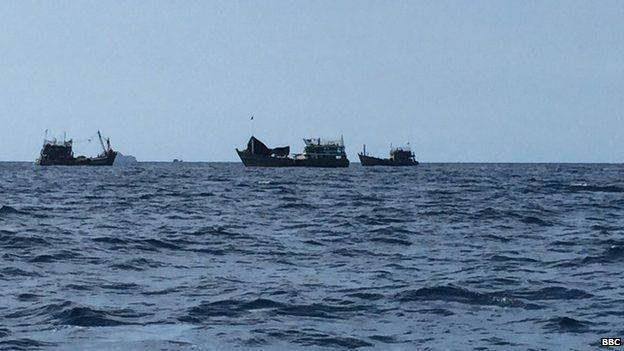 Malaysia on Thursday turned away two crammed migrant boats and Thailand kept at bay a large vessel with hundreds of hungry people. Asked if the U.S. would provide direct help, Rathke said: "This is a regional issue. It needs a regional solution."